The 2019 New Zealand Ecological Society Conference will be held at Lincoln University, 1 - 5 December 2019. More details to follow! 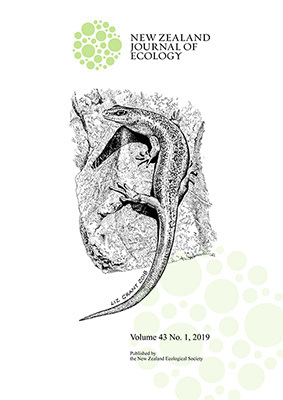 The New Zealand Journal of Ecology is a vital forum for ecologists to publish research relevant to New Zealand and the South Pacific. The journal is highly regarded worldwide (2016 ISI impact factor 1.704). The Society provides a searchable full-text catalogue of journals and papers going back to 1952.